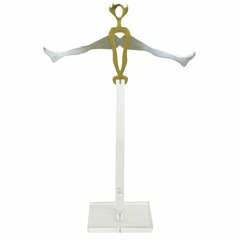 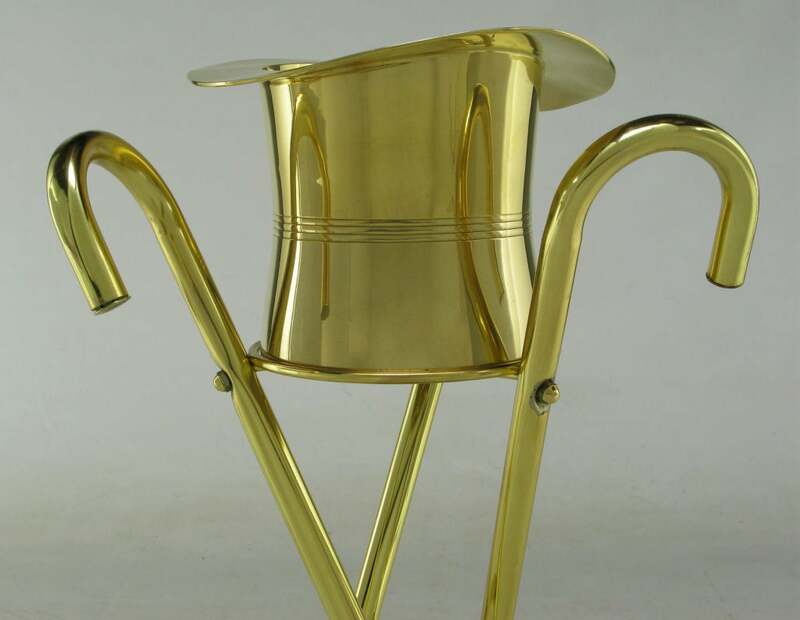 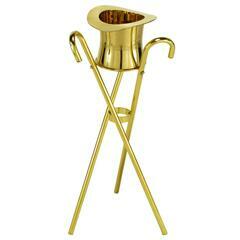 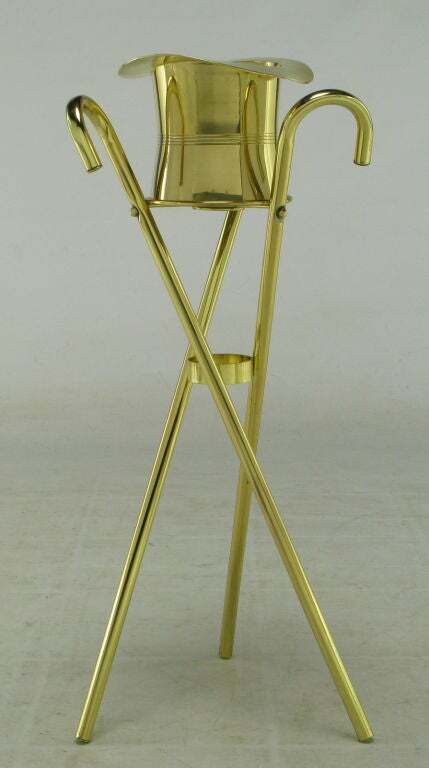 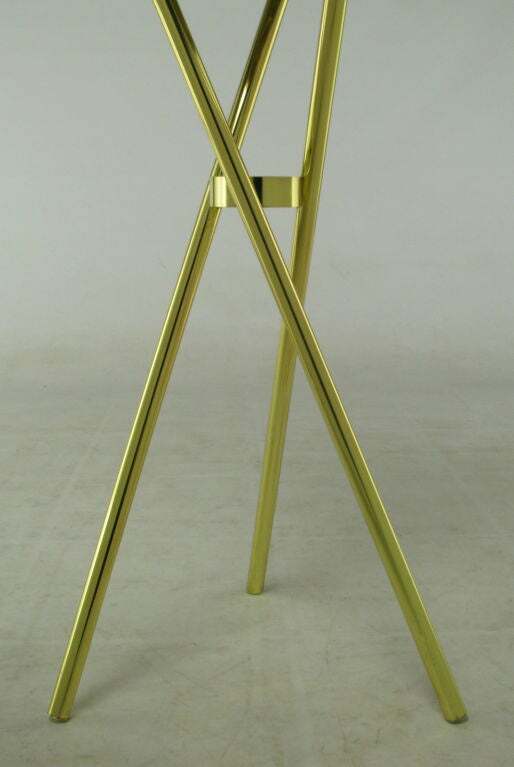 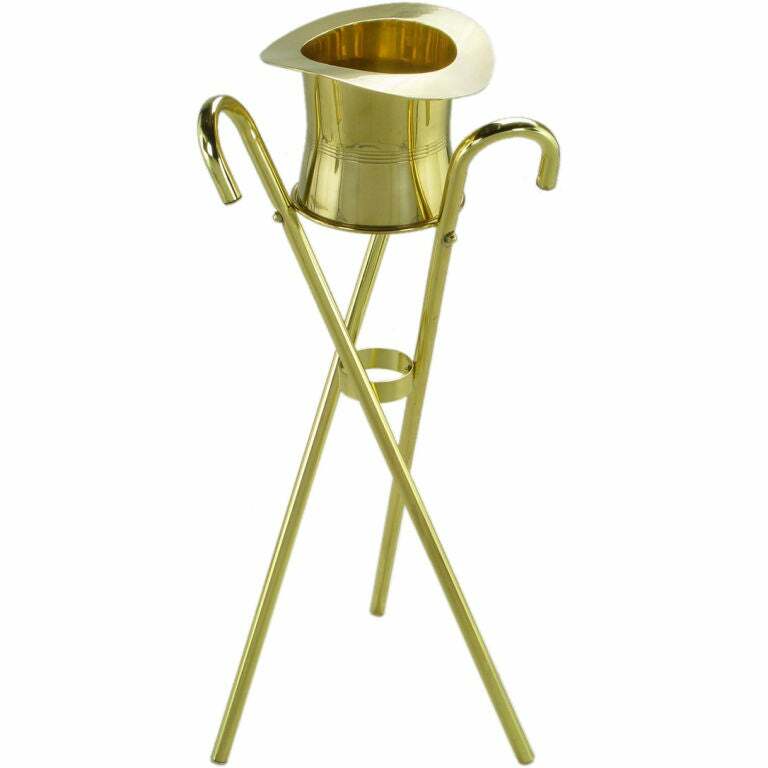 Unique and inspired champagne cooler or ice bucket on three canes in tripodal form stand. 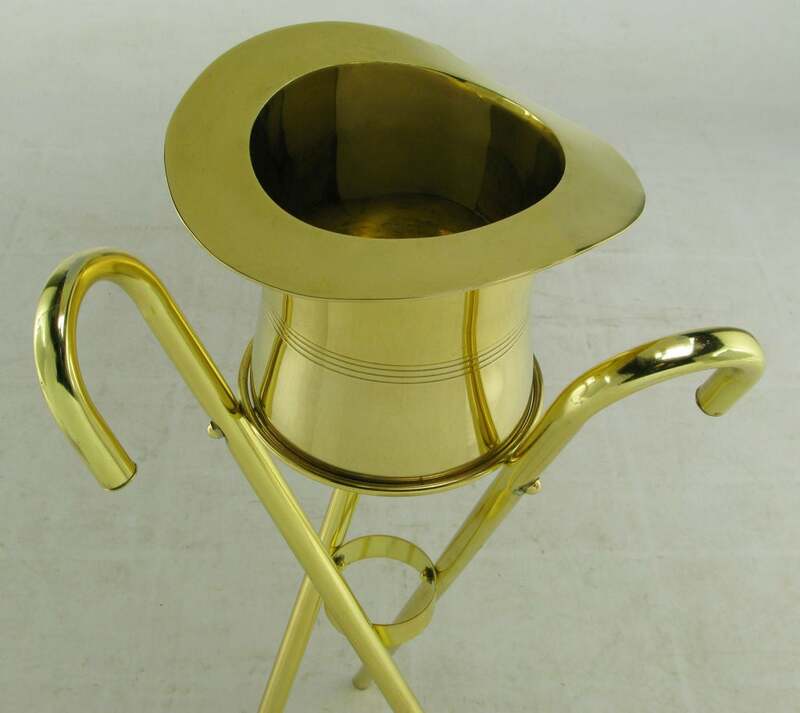 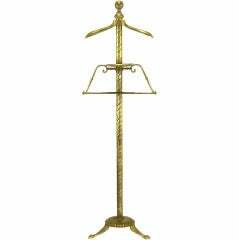 Solid brass top hat and brass plated canes. 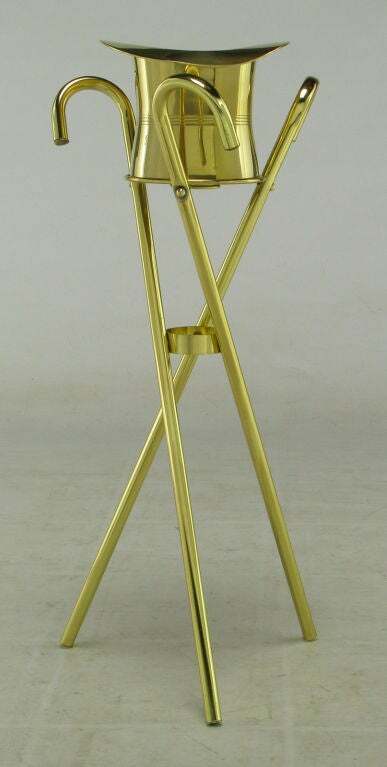 Unique and inspired champagne cooler or ice bucket on three canes in tripodal form stand. 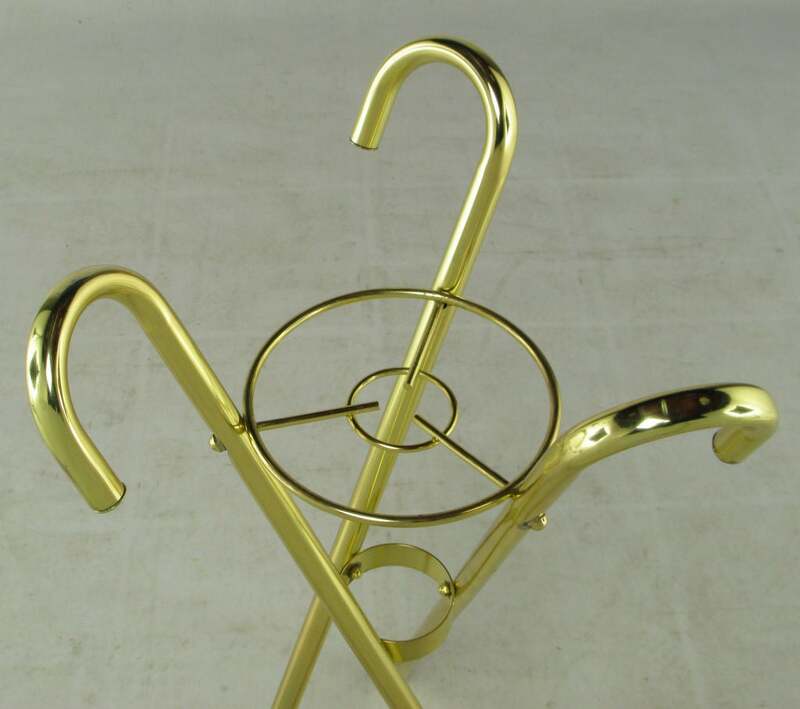 Solid brass top hat and brass-plated canes. 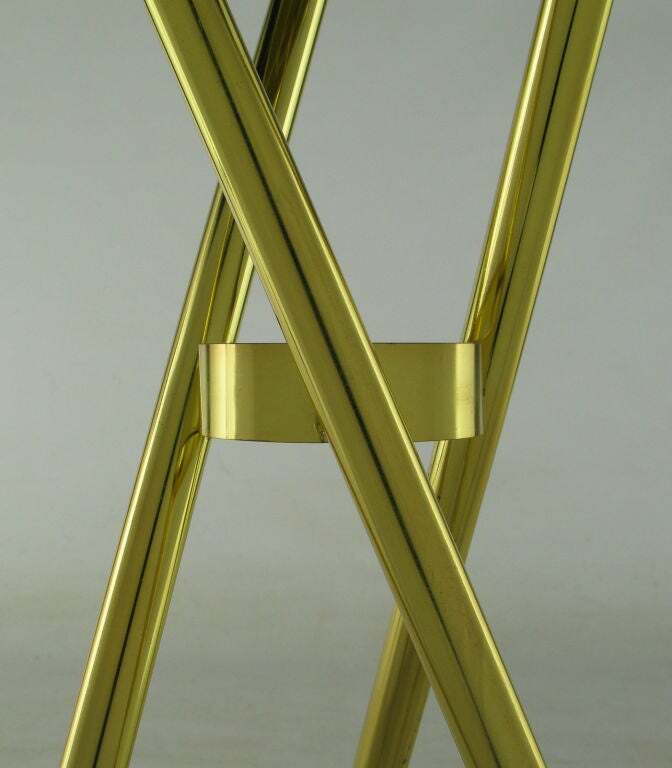 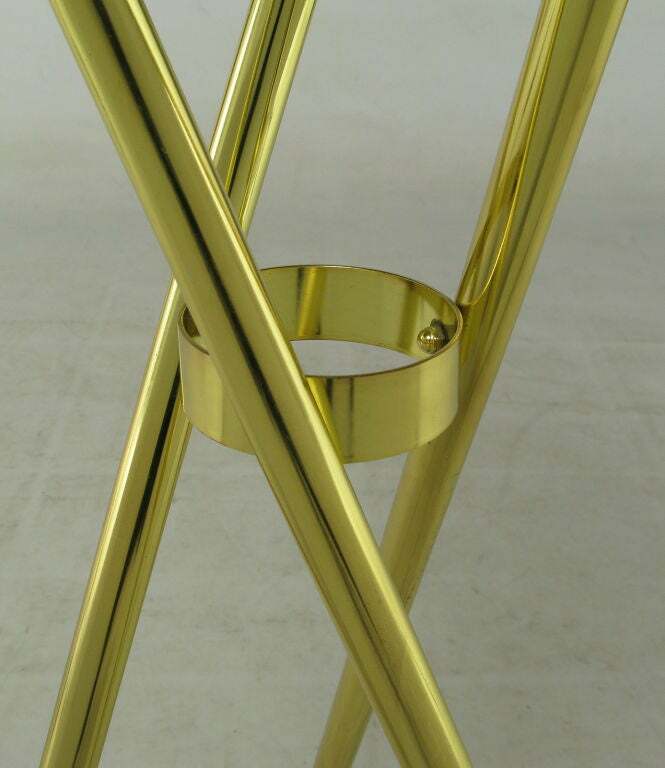 Wonderfully designed patinated brass post modern coffee table with mitered legs and elongated triangular center. 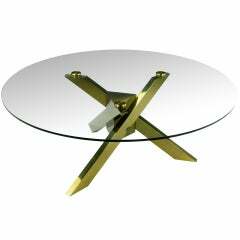 Solid brass caps secure the 1/2" thick glass top to the base.